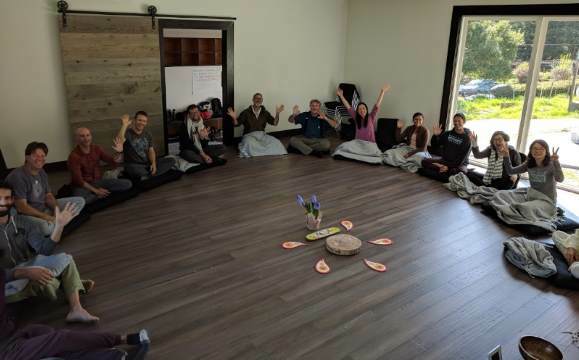 WHAT: On Saturday, Nov 10th, we are delighted to host a day-long "Head, Hands, Heart" Retreat at Banyan Grove. This retreat (a first of its kind at Banyan Grove!) 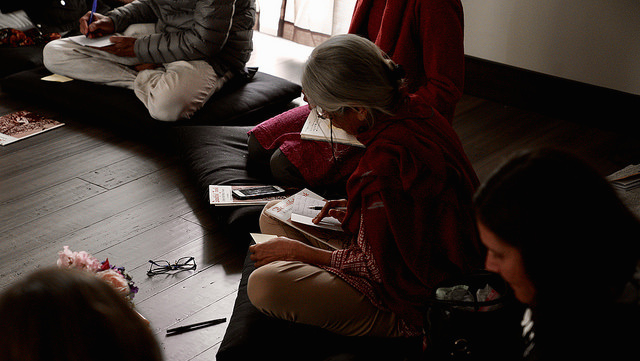 is an opportunity to spend a day with kindred community in reflection, dialogue, and action, as a pathway to "be the change we wish to see in the world". Along the way, our hope is to deepen our experience of generosity, build deeper ties amongst each other, and reflect on subtle values embedded in our acts of giving. We will begin with a period of stillness and circle of sharing, engage conversations over lunch, practice small acts of service, dialogue around edges embedded in living our values, and learn from the shared emergence. Ultimately, by amplifying the inner transformation element of the service process, our hope is to cultivate a shift from consumption to contribution, transaction to trust, isolation to community, and scarcity to abundance. A simple vegan lunch will be served. Like all ServiceSpace offerings, this volunteer run space is offered entirely as a gift. Audrey Lin, Preeta Bansal, and Nipun Mehta will be anchoring the retreat, and we will limit the retreat to about 25 guests. If you'd like to join, please RSVP below, and we'll drop you a note with more details (including a pre-retreat questionnaire).